and now a carefully constructed, unsettling book that I feel satisfied to puzzle over. This was my face-to-face book group read for the month. It was my selection (“Who chose THIS book?”) and I was rather disappointed to find when I was flipping through my reading journal that I’d actually read it before, in 2004. I now realize that what I meant to nominate was her next book The Lost Dog which she wrote in 2007. It didn’t matter though- I really could not remember much about The Hamilton Case at all. I was interested to see that the comments I made six years ago are pretty much the same comments I’m going to make now. This is a clever, clever book. It commences with an autobiographical fragment, written by the elderly Ceylonese lawyer Sam Obeysekere, reminiscing about The Hamilton Case which he prosecuted many years previously. The case was emblematic of Sri Lanka’s colonial past: it occurred on a tea-plantation where the white manager was murdered and two labouring coolies were accused of the murder. Our narrator is a pompous, deluded, rather pathetic character, reminiscent of the narrator of Ishiguru’s The Remains of the Day. This section ends abruptly and the narrative broadens to an omniscient third-person perspective. This is perhaps a little unfair as we have been repelled by Sam’s character in the first section, just as other characters in the book had been repulsed by him for other reasons. What follows is a narrative of Sam’s family- his mother, sister and son- and what a steaming, foetid family this is. De Kretser evokes vividly the rampant Sri Lankan jungle- it reminded me a little of One Hundred Years of Solitude– and the book is drenched with colonial decay. Much though I was enjoying this section, I did find myself wondering about the title, given that the Hamilton Case itself had taken up only a small part of the book. But I was in confident hands, and sure enough the last section of the book, written as a letter from an author who had fictionalized (or had he??) 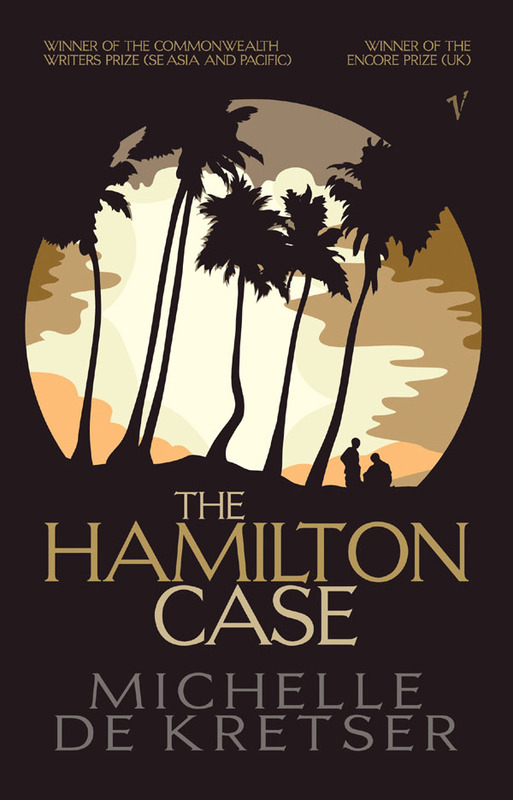 the Hamilton Case, disrupted completely Sam’s telling of the case in the book’s opening. Confusing? It might read that way in my summary of it, but it didn’t feel confusing while reading. Certainly, as a reader, you felt distrustful of all the characters and alert to the nuances and tricks of memory but at no stage did I feel that the author was losing control of her own narrative. On the contrary, it was very assured, clever writing, very careful and well worth a second (or in my case- third!) reading. LOL. I find it hard to remember details of books I’ve read before. I remember reading this one and loving it too. She’s a fine writer I think. But I only remember very broadly what it was about. I’m glad I;m not the only one.